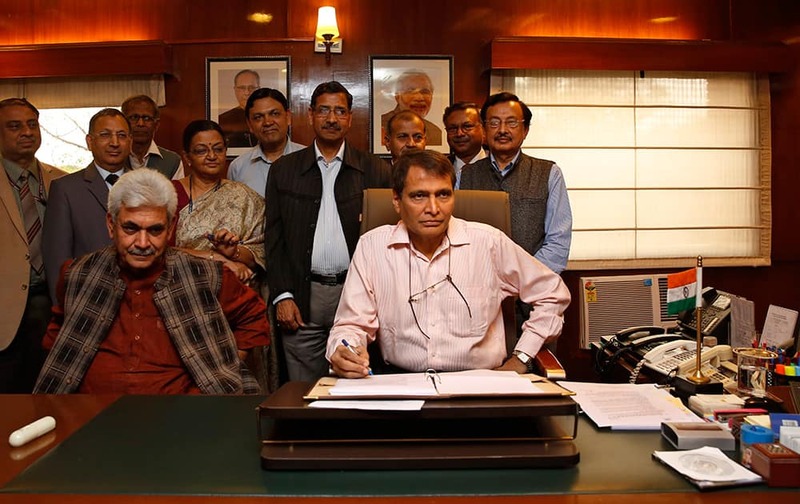 Railway minister Suresh Prabhu poses with his team during a photo call on the eve of the presentation of the Rail budget in Parliament, in New Delhi. 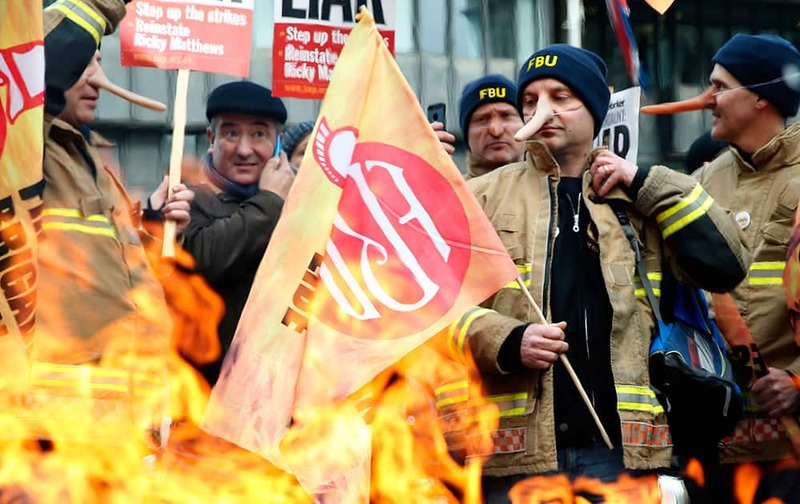 Members of the Fire Brigade Union huddle round a fire as they take part in a demonstration as they hold a 24 hour national strike over pensions in London. A Chinese couple gets married as per traditional Hindu customs in Bodhgaya. 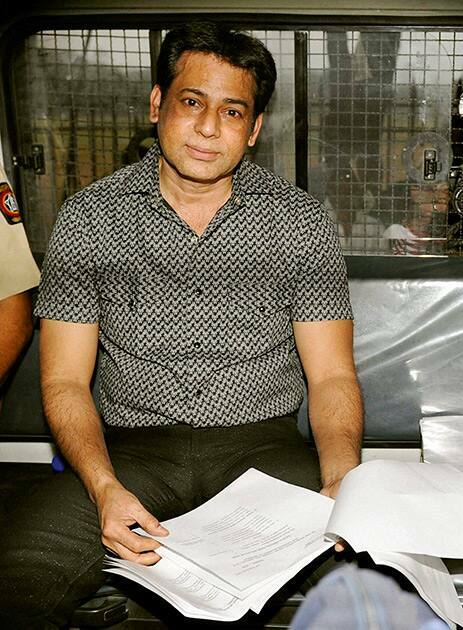 Gangster Abu Salem is taken to jail after a Mumbai court on Wednesday sentenced him life imprisonment in Pradeep Jain murder case. 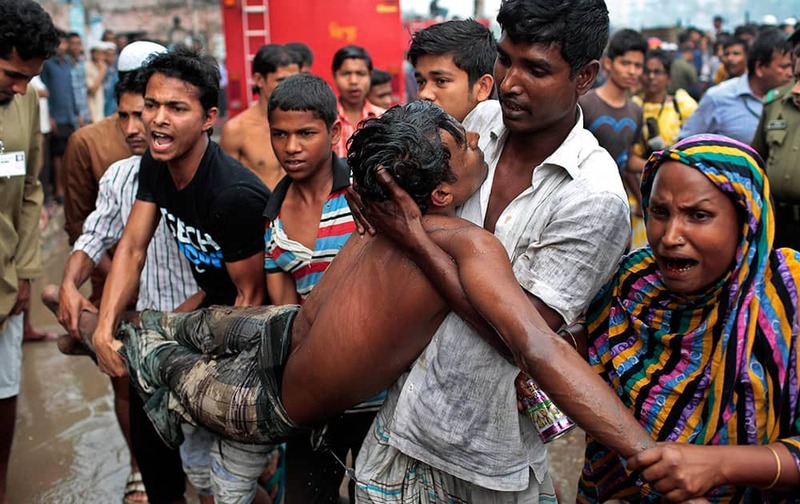 A Bangladeshi man who fainted after seeing the body of his child who died in a slum fire is carried by others in Dhaka, Bangladesh. About 50 shanties were gutted down in the fire. 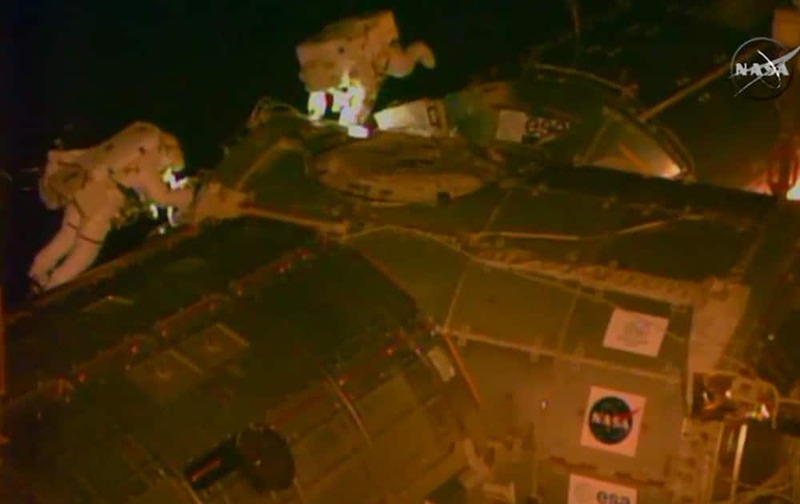 In this image from NASA television astronaut Barry "Butch" Wilmore and Terry Virts during their second spacewalk outside the International Space Station . 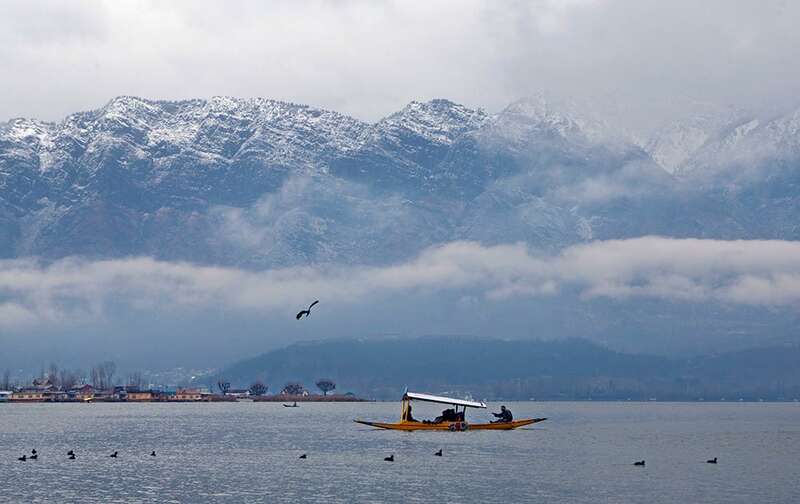 Tourists enjoy Shikara, a traditional wooden boat, with the backdrop of snow covered mountains at the Dal Lake in Srinagar. 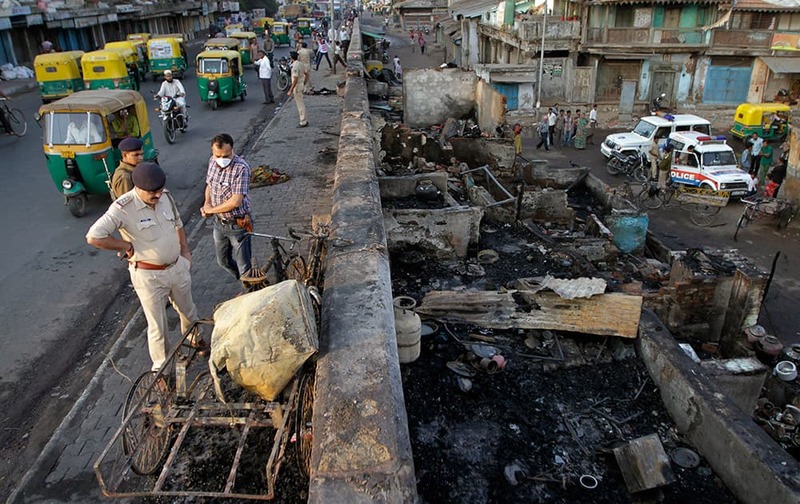 A police officer looks at the debris of a slum area from a road after it caught fire in Ahmadabad. 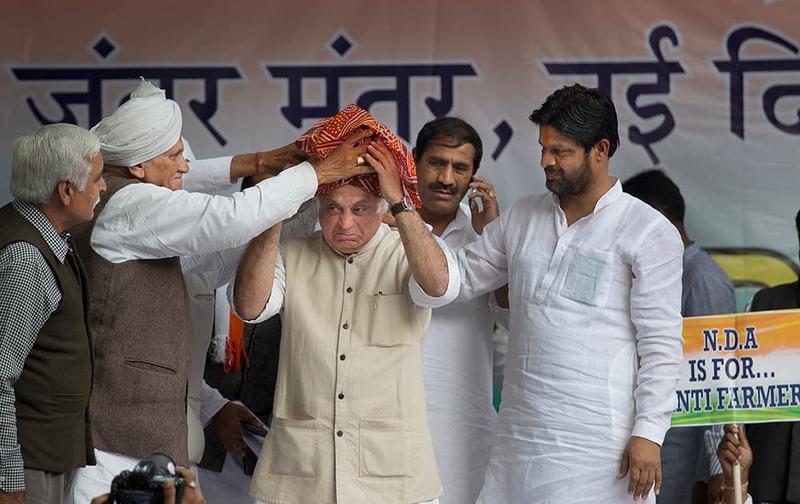 Congress party leaders tie a turban to their senior party leader Jairam Ramesh during a protest in New Delhi. The party held a mega-rally Wednesday to oppose Bharatiya Janata Party (BJP) government's land acquisition ordinance. 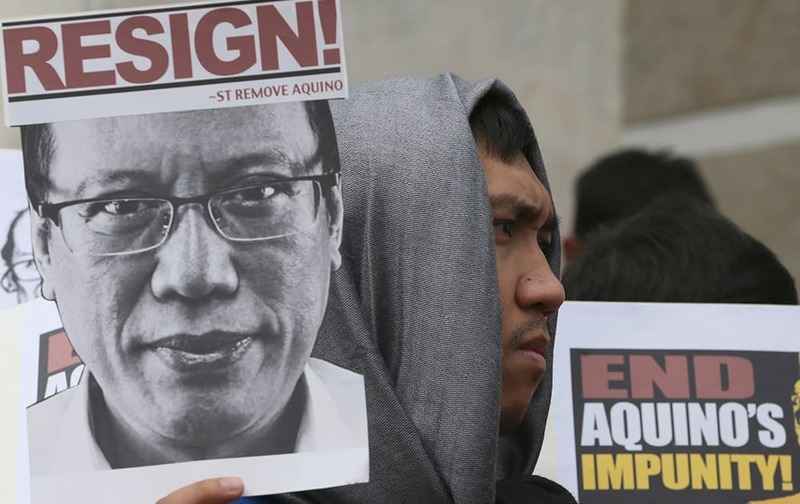 A protester displays a placard with an image of President Benigno Aquino III as they march towards the People Power Monument, calling for the resignation of Aquino at suburban Quezon city, Philippines, to coincide with the 29th celebration of the "People Power" revolt. 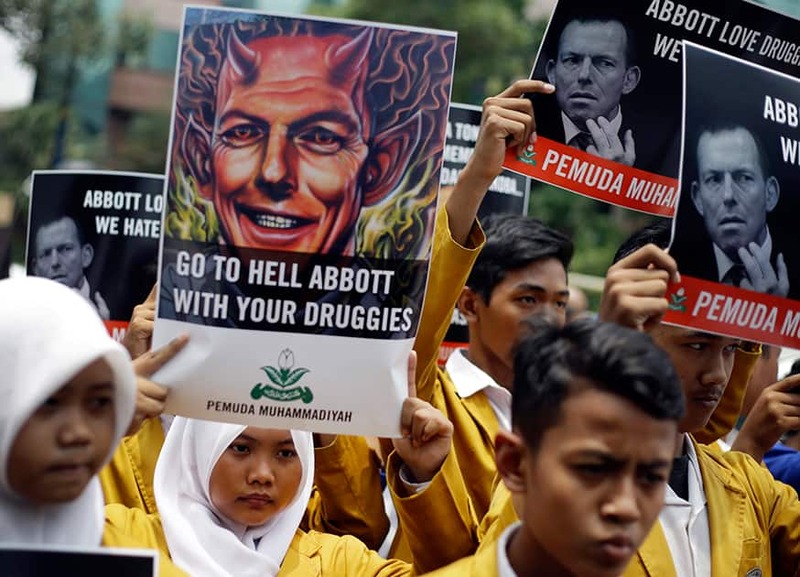 Indonesian Muslim students hold up posters during a protest against Australian Prime Minister Tony Abbott outside the Australian Embassy in Jakarta, Indonesia. 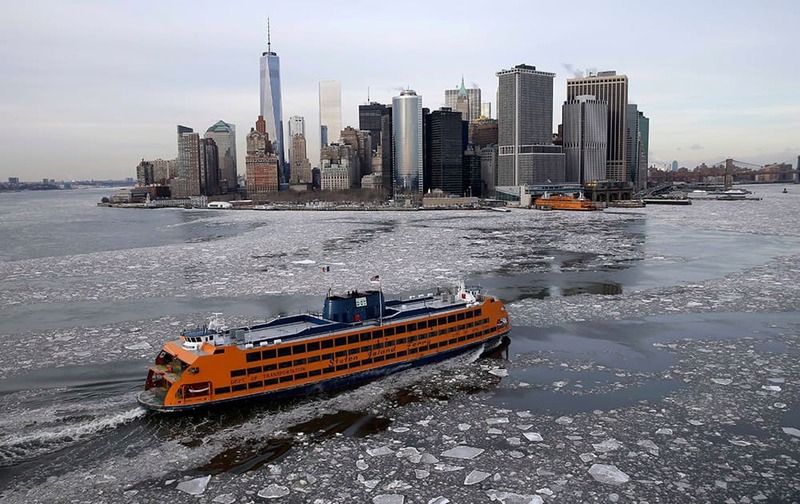 A ferry makes its way through ice in New York. The Weather Service said temperatures would be 15 to 25 degrees below average for most of the East Coast west to the Great Lakes and lower Mississippi River Valley. 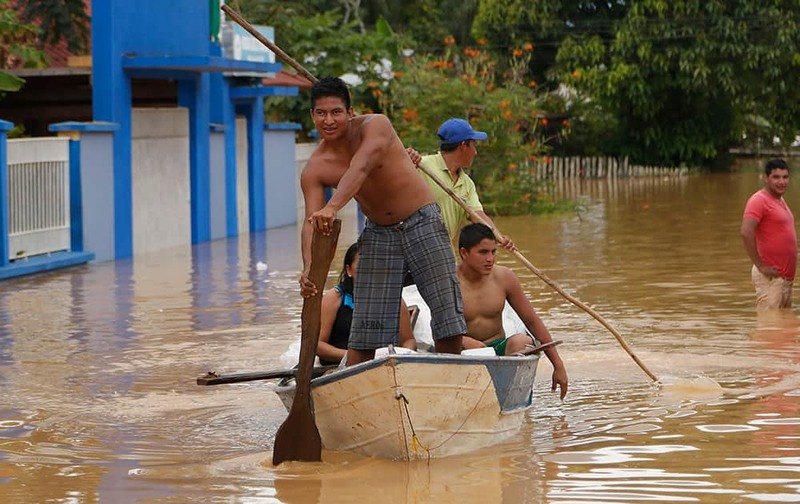 Men use a raft to navigate the flooded streets in Cobija, Bolivia. 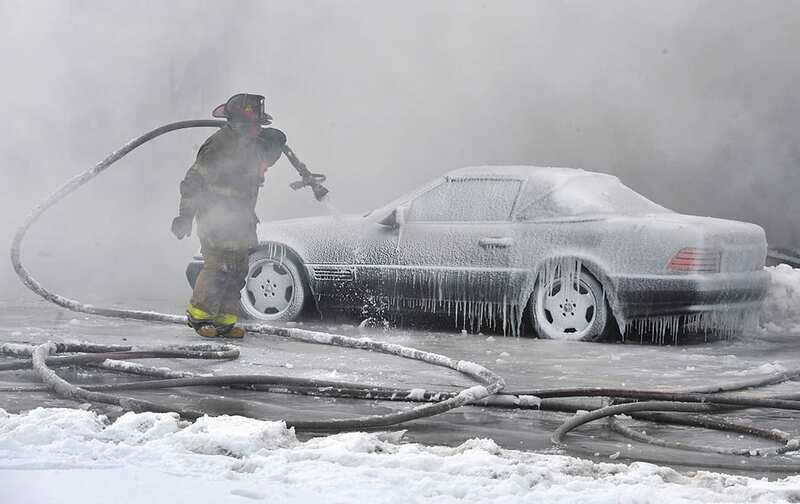 A Detroit fireman from Engine 41 continues to douse the hot embers from an overnight fire at an inhabited building in Detroit. Barcelona's Luis Suarez celebrates after scoring his second goal against Manchester City during the Champions League round 16 match between Manchester City and Barcelona at the Etihad Stadium, in Manchester, England. 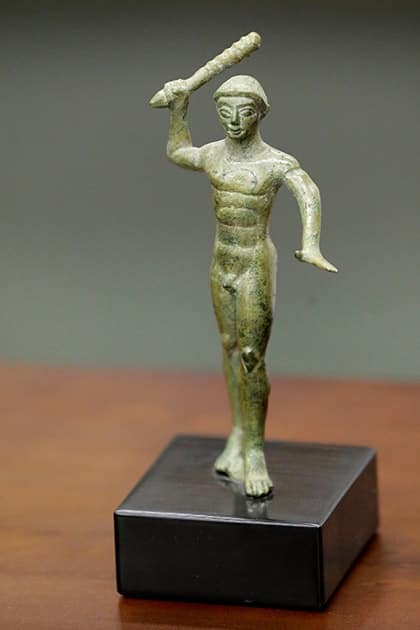 An Etruscan bronze statuette depicting the Greek hero Herakles is displayed at a ceremony to return the statue as well as an 18th-century work attributed to painter Giovanni Battista Tiepolo, 'The Holy Trinity appearing to Saint Clement,' to the Italian government, at the United States Attorney’s Office for the Southern District of New York. 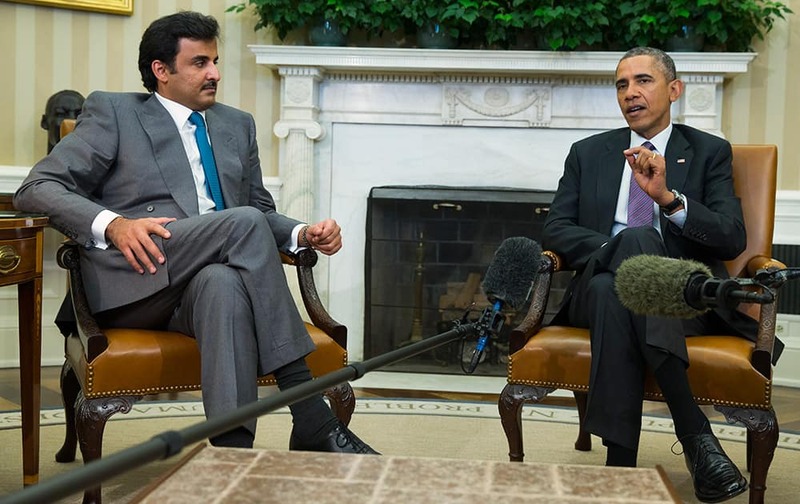 President Barack Obama meets with the Emir of Qatar Sheikh Tamim bin Hamad al Thani, in the Oval Office of the White House in Washington. 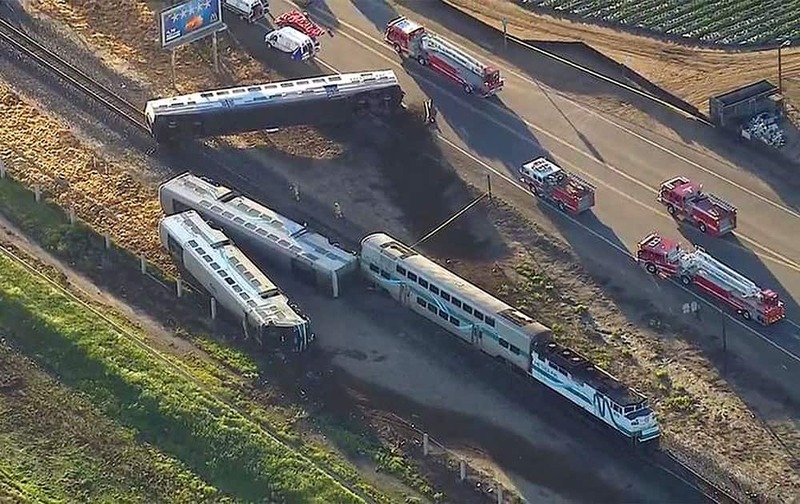 This image from video provided by KABC-TV Los Angeles shows wreckage of a Metrolink commuter train after it crashed into a truck and derailed early, in Oxnard, Calif.